Welcome to Singapore. Evening visit the world’s only Night Safari. Take a Tram ride through jungle showcasing wild life from various parts of the world and enjoy the Tribal dance and Animal show. 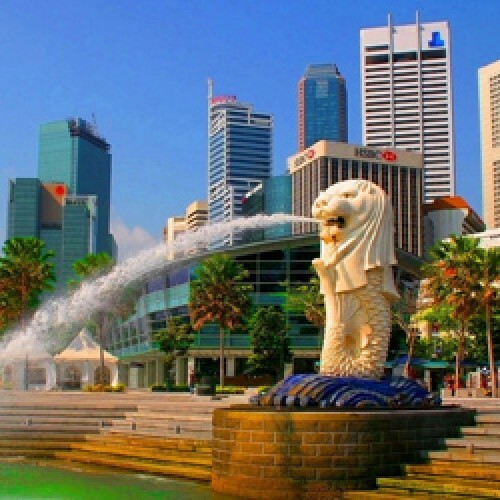 City tour includes the statue of Sir Thomas Stamford Raffles, the Parliament House, Suntec City, Fountain of Wealth, City Hall, Orchard Road, view Swiss-the tallest hotel in Singapore and take a photo stop at Merlion. Full day relax or Visit the famous Universal studios and enjoy day of fun and adventure with various themes like Hollywood, New York, Sci-Fi city, Ancient Egypt, Lost World, and Madagascar on your own. Visit the Sentosa Island with Underwater world. Enjoy Cable car ride from Mount Faber to Sentosa island. Nil refund for cancellations within 7 days prior to the tour date. 25% refund for cancellations within 8 - 15 days prior to the tour date. 50% refund for cancellations within 16 – 20 days prior to the tour date. 75% refund for cancellations within 25 days prior to the tour date. The Mount Faber Line of the Singapore Cable Car Sky Network will be closed from 12-13 January 2016 to facilitate scheduled maintenance work. The Sentosa Line cable car service will continue as usual from 9am – 10pm (last boarding at 9:30pm) from Merlion Station to Siloso Point Station on Sentosa Island.